We're a Certified Installer of Hunter Douglas blinds, shades, shutters, & sheers. Beautiful window treatments in a wide variety of styles from top brand names. 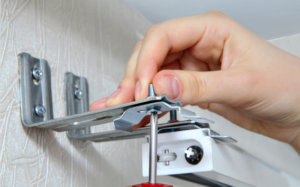 Expert consultation, installation, repair, and cleaning services. Visualizing your new window treatments has never been easier. 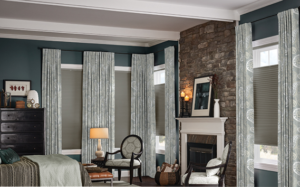 Shop for blinds, shades, shutters, drapes, and more, from the comfort of your own home with Jan's Custom Window Fashions. Jan's trusted consultants will bring a wide selection of product samples to you at your convenience. At Jan's Custom Window Fashions, you'll find more than just quality, stylish window treatments. Whether you're shopping for a single window treatment, redecorating your entire house, or seeking the solution to a complex design challenge, you'll find our friendly staff has the knowledge and expertise to help you put it all together. Jan's is locally owned and operated in Clio, MI, which means you'll receive the personalized experience you deserve when it comes to consultation, installation, cleaning, and repair services! We take great pride in providing exceptional service to our customers in Mid-Michigan, including Genesee and Oakland Counties and the surrounding areas. We also completely stand behind our quality window covering products from Hunter Douglas, Lafayette, Comfortex, Graber, and Norman for your complete satisfaction! We carry blinds, shades, shutters, drapes, & more! We provide comprehensive cleaning and repair services.